Digivolving Spirits represents the cutting edge of transformable Digimon figures. You won't believe the accuracy and detail lavished on this portrayal of Wargreymon, perfectly fusing its cute and cool aspects. This is the ultimate Digimon collectible! The figure incorporates both plastic and die-cast parts. 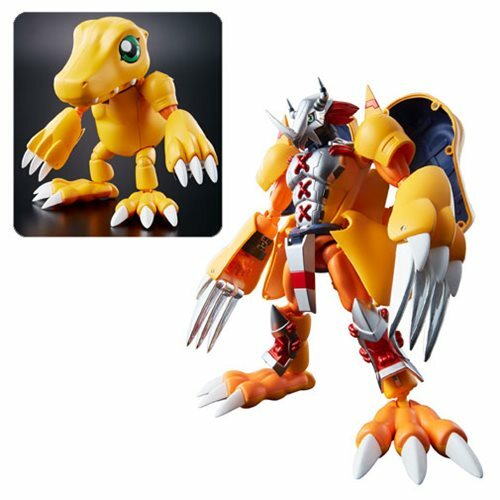 The Digimon 01 WarGreymon Agumon Digivolving Spirits Figure measures about 6 1/10-inches tall. Ages 15 and up.